Through a partnership between our J. Ashburn Jr. Club and Highland Elementary, kids who are struggling in school due to economic and socio-emotional factors are getting the support they need to achieve academic success. The program, which launched at the beginning of the 2017-2018 school year, provides specialized academic and behavioral support to students in grades 3 – 5 who are at risk of meeting grade level expectations. In order to be included in the program, at-risk students are referred by their teachers to the Club. At the Club, these students meet with a certified teacher several times per week to receive supplemental academic support. In addition, a behavioral health specialist visits the Club to help children who are coping with challenging family and financial circumstances. A combination of students’ test scores and grades are utilized to track and measure the program’s impact. Results of the program mid-year revealed that all students had improved academically. In English/Language Arts, 86% of the students in the program were on track to meet grade level expectations at the mid-year mark vs. only 21% at the beginning of the year. In Math, the results were equally impressive, with 83% of students on track to meet grade level mid-year vs. only 34% at the beginning of the year. 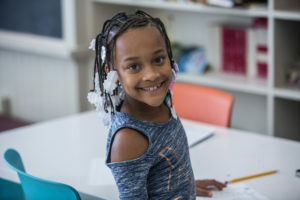 As a result of the program’s success, the study has expanded its scope to examine how socio-emotional factors affect a child’s ability to succeed academically, rating each child in five categories: safety and security, family, relationships with friends/mentors, self regulation (the ability to manage conflict) and mental health. Tracking this information helps us better understand what factors most heavily affect a child’s learning so that we can offer the best support to put our youth on the path to a great future.